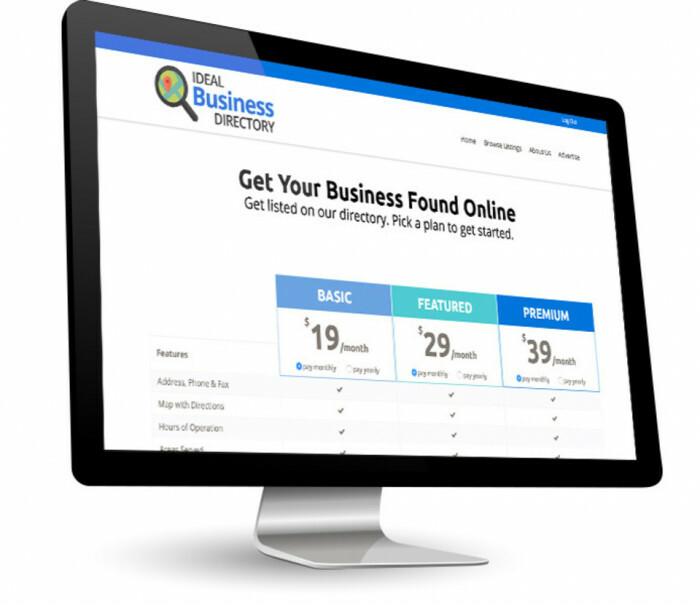 Create an Online Business Directory for Your Town or City! Our turnkey business directory websites are a valuable resource for any community and allow you to generate thousands of dollars a month from local businesses who advertise on your site. With our easy-to-use software, you can launch your own business directory website that generates passive income and practically runs itself. Our out-of-the-box solution allows you to launch your business directory in minutes with absolutely no coding, no programming and no technical skills needed. You can be up and running in less than an hour. Our directory websites seamlessly integrate with Stripe so every time a business pays for a listing on your website, the money will automatically (and securely) get deposited into your account. Our turn-key directory sites are designed to help you create a self-serve business model with recurring income. Local businesses can sign up, submit payment and manage their own listing without you having to lift a finger. This will likely account for the majority of your revenue. You can set multiple pricing plans based on features each plan offers. When a local business signs up, they pick a plan, create their listing, and the money automatically gets deposited into your account. This is the easiest way to create passive, recurring income. Google AdSense is an easy way to generate additional income without having to do all the work selling banner ads. Sit back and collect revenue from ads that Google pumps into your directory site for you. You simply get paid every time someone clicks on an ad featured on your site. Want to sell your own banner ads on your directory website? No problem. Our platform seamlessly integrates with AdPeeps banner ad manager so you can upload your own banner ads that you sell and feature them on your website. Running multiple directory websites is a great way to maximize your revenue potential. 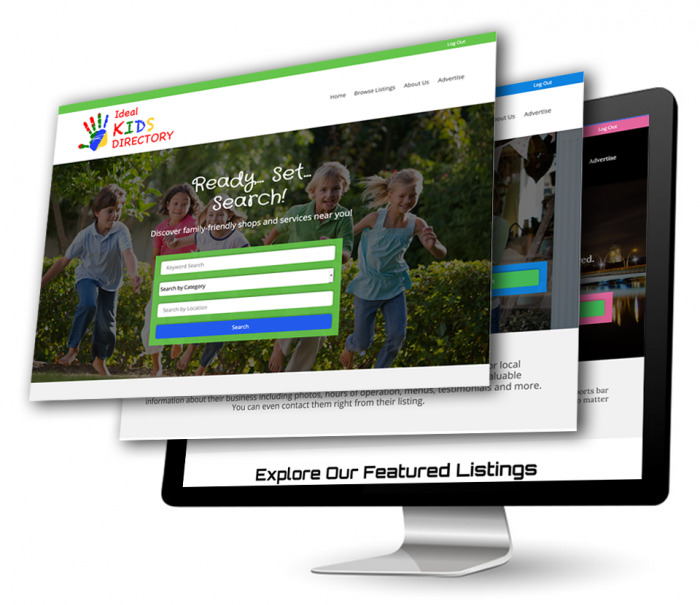 You can use our different Themes to launch 2, 3, or more directory websites, each focusing on a different niche or market. It's a great way to generate multiple revenue streams with minimal investment or overhead. 20 x 20 x 20 = $8,000/mo. 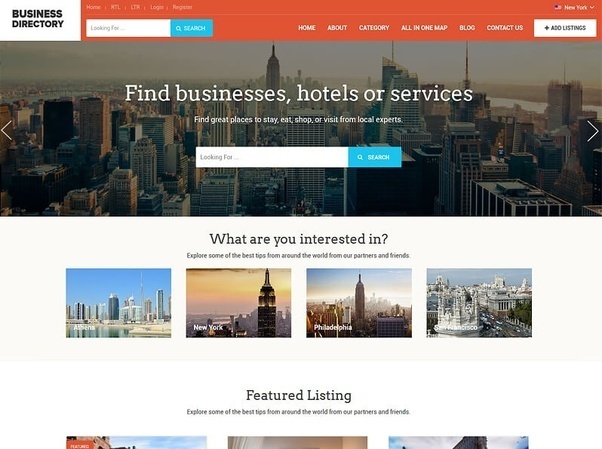 Each of our directory themes are pre-populated with an average of 20 categories. So if you have just 20 paid listings in each of these categories, paying you an average of just $20/month, you would generate $8,000 every month. There is no limit to the number of categories you have or the number of listings. And remember, you can set your own prices and charge whatever you like. You can also generate additional revenue from banner ads and Google AdSense. 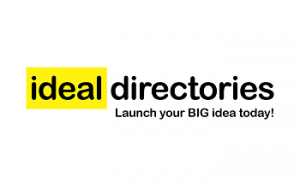 Launch your own directory website today! Request more information below.